If you have a 2 or more clients that need to be set up in a hierarchical structure i.e. 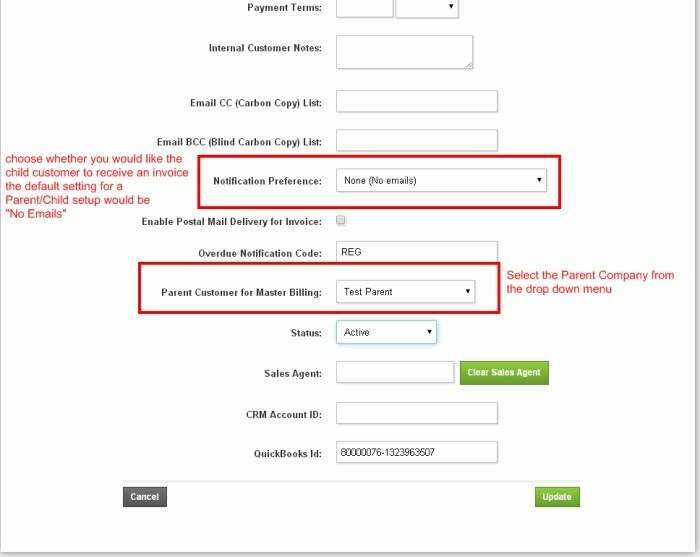 with one client at a higher level(Parent) than the other (Child) you would use the Parent/Child feature.What we mean here by higher level, is that the Parent Company is the one that gets invoiced on behalf of all it's Child companies. Under this feature the Parent Company does not carry the Orders. The Orders are created with the Child Company. From the Child Company's Customer Account Summary page, click on the Summary and then the Edit button. Next, create the Orders for the Child Customer. When the system goes through the Billing Run, it generates invoices for all customers. 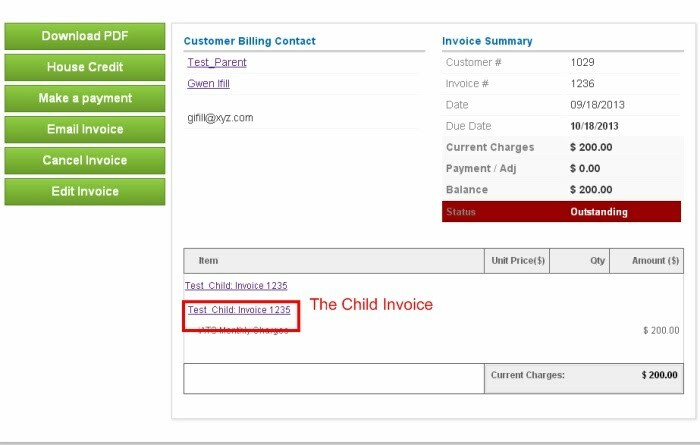 The invoices of the child customers will then be rolled into a Master Invoice. This Master Invoice will be emailed out to the Parent Company for payment. Orders are created at the Child level. Refunds are made at the Parent level. If the Master invoice becomes Past Due, the customer status on both the Parent and Child companies change to "Overdue 1" etc. Once payment is received both Parent and Child statuses revert to "Active"